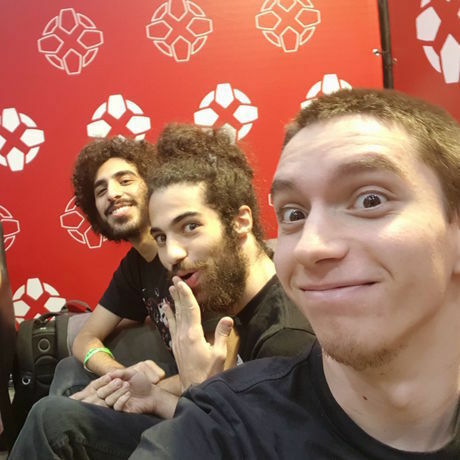 Mati, Itamar and Yotam (the Lonebot team) talk about how they first came together over a decade ago, their intense game jams and total cooperation from concept to completion, and demonstrate the importance of “juice” in game design. Lonebot is a small indie game studio run by three friends: Yotam Frid (21), and brothers Itamar and Mati Ernst (23, 20). It has been active for over a decade. (Yes, they started when they were 11, 13 and 9 year old). Regular participates in game jams (hackathons), Lonebot has received various awards for games developed during these events including several regional “Game of the Year” awards from GameIS events. Their 2015 LudumDare game “Monstre De Coiffure” ranks #4 globally. This year Lonebot has released “INFINIROOM” - their first mobile game on both Apple and Android devices. The game has received popular acclaim, and was featured on Apple.